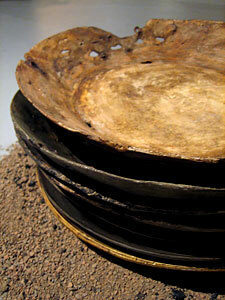 Christine Owen is a sculptor and video artist, and is a member of The Bridge Club collaborative performance art group. Owen received an MFA in ceramics from the University of Colorado, A BFA from the State University of New York at New Paltz, and lived for three years in Wakayama Prefecture, Japan, as a traditional apprentice to artist Shige Morioka. Her works incorporate Eastern and Western influences, utilizing simple utilitarian forms to provoke a metaphoric dialogue with the senses. Owen lives and works in New York state.